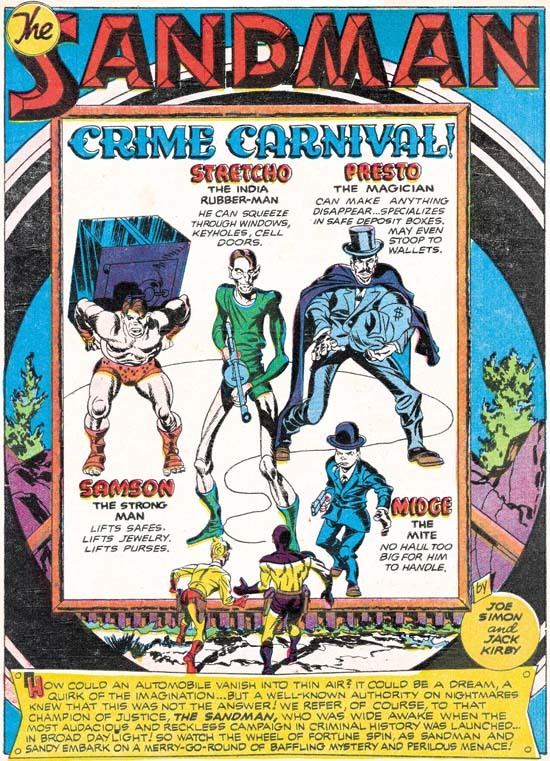 DC comics: The Sandman (Wesley Dodds) | Magazines and Monsters! Being a little green yet with my DC comics and their characters, I decided to grab this trade and single issue out of pure curiosity, but make no mistake, the names Joe Simon and Jack Kirby (definitely check out the Kirby Museum for a ton of facts, pages, and excellent insight to Kirby!) had a lot to do with the purchase as well! 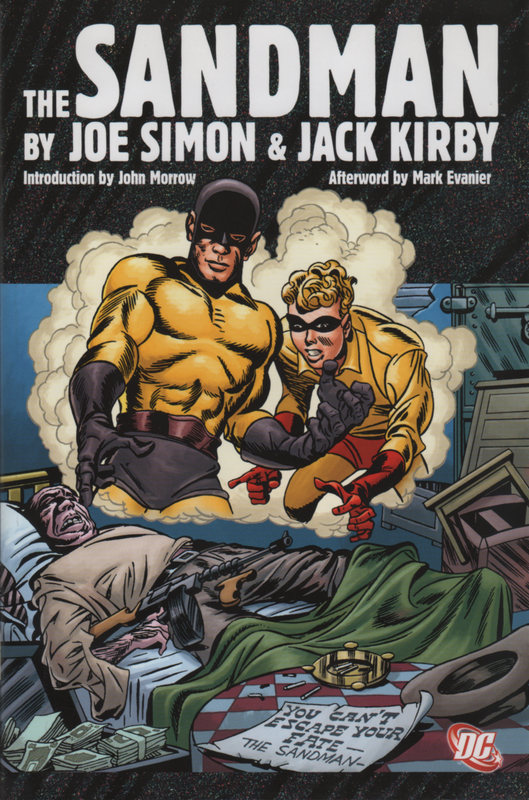 This incredible duo didn’t create the Sandman (Gardner Fox and Bert Christman did), but not long after a revamp by Mort Weisinger and Paul Norris (Adventure Comics #69), Joe and Jack took over the reigns, and really created some fantastic adventures for this crazy character and his new sidekick (Sandy)! The stories varied from heavy subjects like slavery and suicide, to the more usual tales of war and the mob! 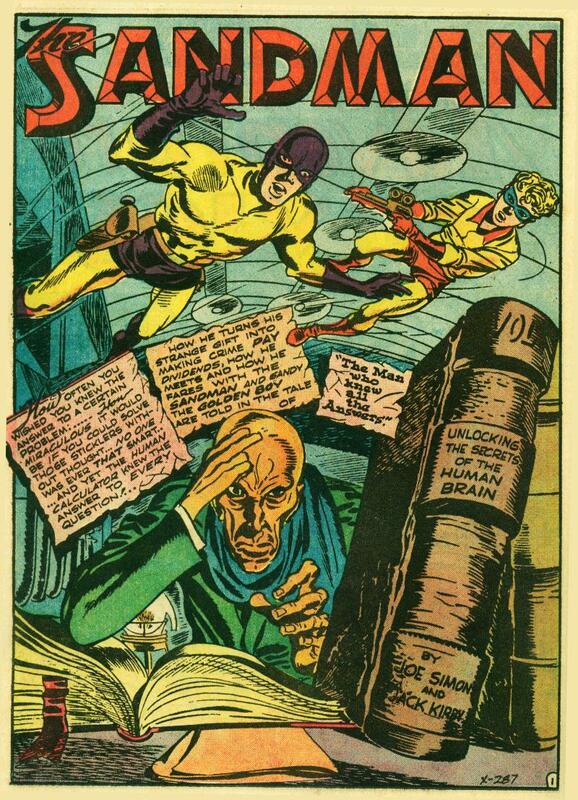 Mostly though, they had a strange vibe or a villain that was downright bizarre. 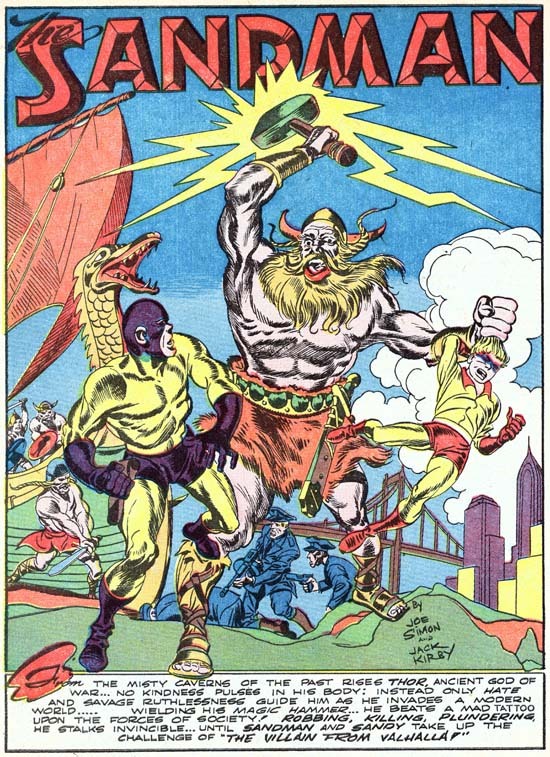 People like NightShade (later known as Ramulus), Thor, and Noah…Barton, who has an Ark full of animals. No joke folks, it’s all right here in these pages. From Nazis to Santa Claus, anything you can think of Simon and Kirby already have, and more than likely before you or your parents were even born. 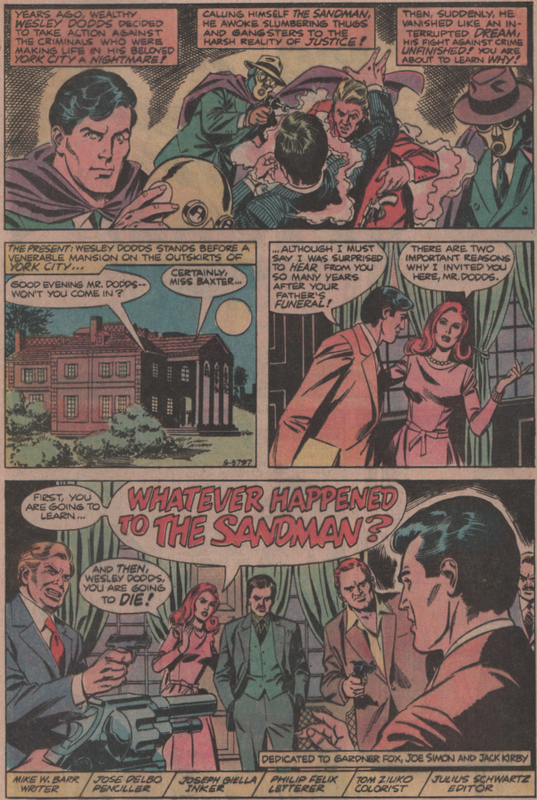 The second part of this post is to spotlight an issue of DC Comics Presents (#42, written by Mike Barr and artwork by Jose Delbo and Joe Giella), as it was the first time I’d ever read a story about the Sandman! 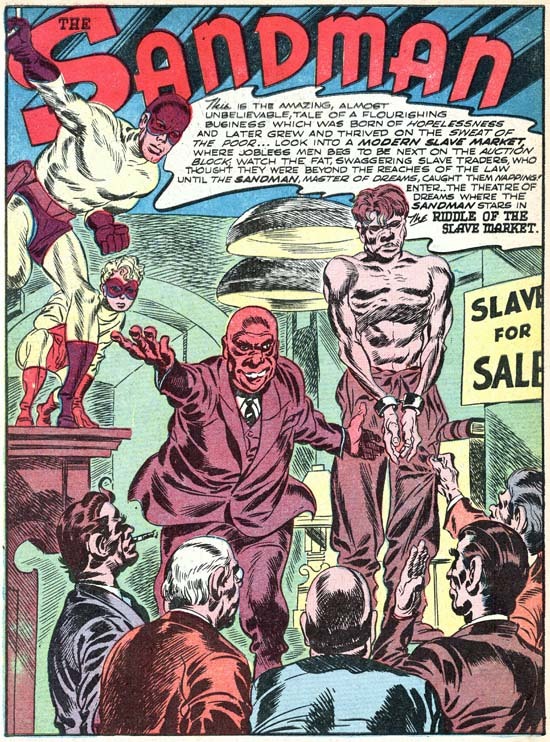 Reading this cool story about where the character went after the Golden Age (a back up as the main story was one that featured Superman and the Unknown Soldier, which is just OK), really had me thinking about this character I’d heard of but never really knew anything about, other than he was created in the Golden Age, and was later (in name) drastically changed for a Vertigo title by Neil Gaiman (I’ve read absolutely none of those – not my thing). 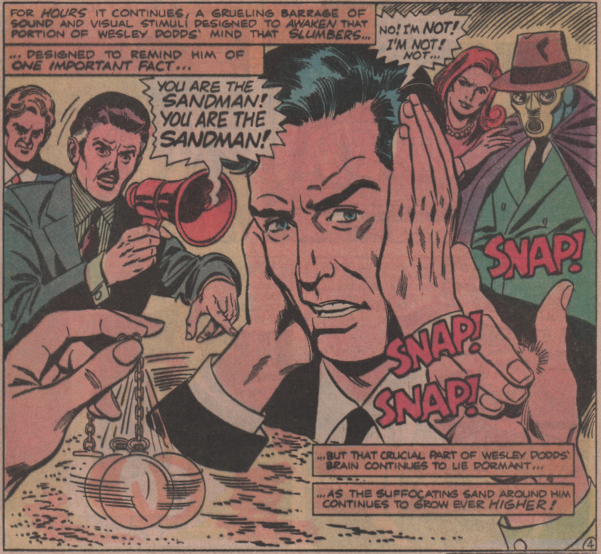 There was another story in JLA 113, 19974, that showed what happened to Sandy, and featured Dodds (I don’t own that one yet!). Whether you’re a fan of Golden Age characters or haven’t really read much of them, definitely give the Sandman a try! Dude, definitely grab this one if you can find it online (and you should be ale to). Crazy stories!